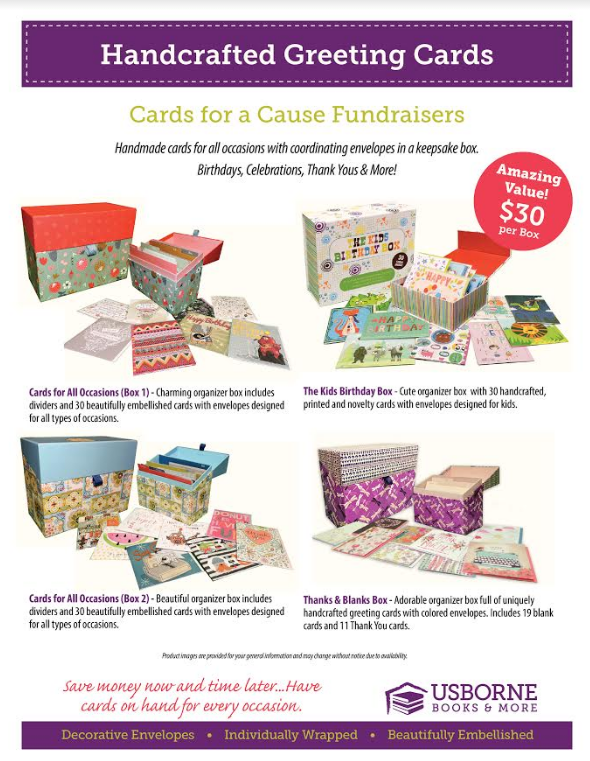 We will be selling Usborne Books "Cards for a Cause" in February. Each box of 30 Greeting Cards costs $33.00 - that's just a little over $1.00 per card! Each card is individually made and absolutely beautiful. What a great gift for Mother's Day! German students will be selling the cards - all proceeds will go to support their individual trips to Germany on GAPP 2017 or towards German Club (for supplies, materials, field trips, etc). See below for card styles.